Contemporary take on a traditional form. 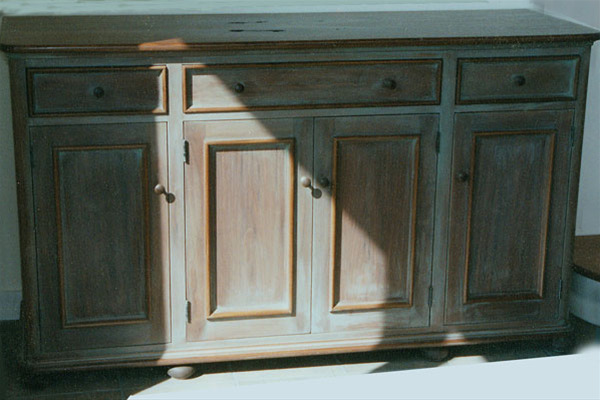 We used nice walnut for the base cabinet but then painted it and rubbed the paint to give the whole piece a sort of timeless antique feel. For the top, the client chose a piece of 'character' walnut that included some interesting knots and other defects.